Less is more when it comes to business cards. Prior generations packed as much information as possible onto their cards, filling every square inch with logos, colors and text. But the most successful modern business cards trend toward clean, open designs, with just enough text to get the point across. The reason is simple: An uncluttered, visually sophisticated design has greater impact and will make you more memorable. It also has a more professional appearance. If you can afford it, pay for a card that potential clients and contacts won’t soon forget. The best cards spark a conversation as soon as they’re received. Business cards made from unorthodox materials such as plastic or metal are sure to get people talking — but there are plenty of ways to make your ordinary paper card stand out. Most printing companies can spice up your design with rounded corners, weighty paper or a textured finish, and letterpress text can give your card a bit of 3D depth. 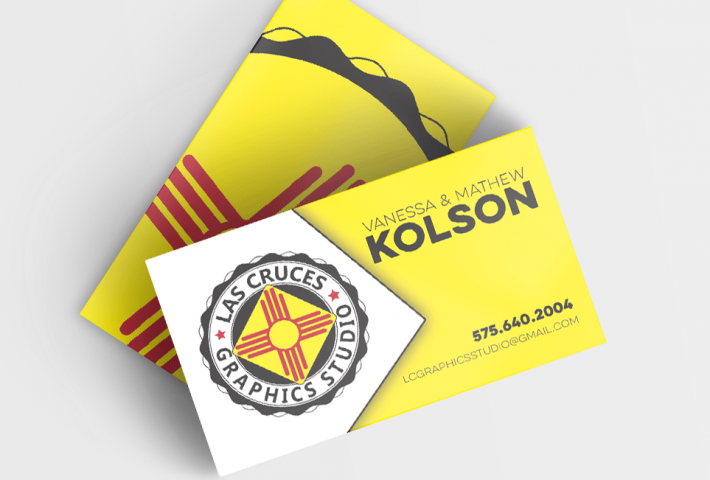 Think of your business card as an investment into your company’s future and it can really pay off. Make sure your business card makes the right impression. An unusual business card might be memorable, but it could do more harm than good if it doesn’t match your brand. Every element of your design should complement the image you want your company to project. Take the time to discover just the right typeface, color pallet and materials for your brand. Using templates from printing sites is ok, but there are many people out there with that same card! Hiring a professional like Digital Solutions will unsure you get a one-of-a-kind card that perfectly matches your business.